The Dutch love camping and there are many really excellent campsites and campervan parks all over the country, making campervan hire in the Netherlands an excellent choice for your next holiday in Europe. A motorhome hire in the Netherlands will give you the freedom to discover this beautiful country at your own pace; imagine being able to just stop whenever you find yourself in a beautiful place – the perfect beach – a wonderful forest – or to watch a spectacular sunset! The best thing about a camper rental in the Netherlands is that you can forget about schedules and time-tables. You get up when you feel like it, drive as little or as much as you want to each day, and never have to retrace your steps to a base camp. You can book your Netherlands motorhome rental right here online and be sure that it is ready and waiting for you when you arrive in the country. McRent Netherlands Campervan Hire and Pure Motorhomes Holland depots are just 20 mins by taxi from the Schipol Airport in Amsterdam. There are many models of motorhome rentals in the Netherlands – anything from a romantic campervan for two with all the facilities you need for comfortable camping, including a toilet and shower on board; to very large motorhomes that can easily accommodate the larger family or group of up to 6 adults. All our Netherlands RV rentals have air-conditioned drivers’ cabs, good cooking facilities and awnings. There are a great many places you can visit when you have a campervan rental in the Netherlands; choose one or two campsites to relax in, or really get to see the country by staying in a new place every night. The country is divided into 12 provinces, each of which has a good selection of places to rest at the end of a busy day. If you are holidaying with children, one of the best coastal camping sites is the Duinrell site which even has its own amusement park and a swimming pool complex to delight the kids. In addition, this campervan park has themed restaurants, tennis courts, play areas and wi-fi, to name just a few of the facilities. 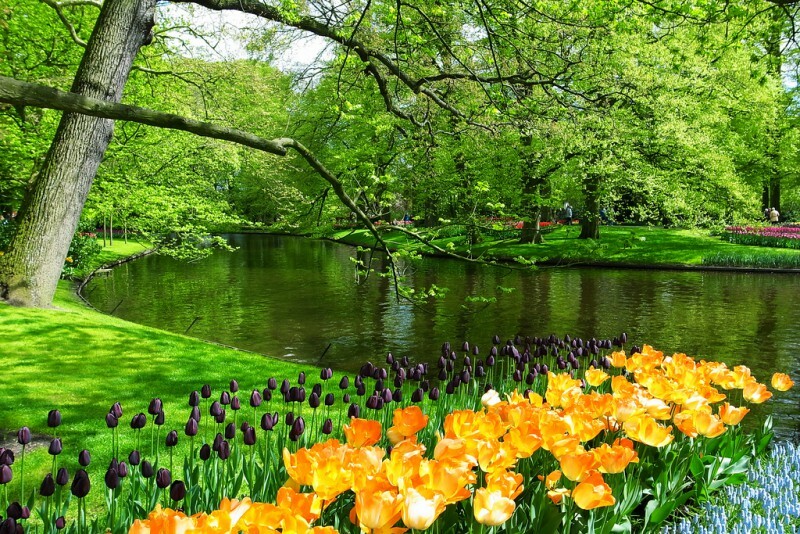 The park is just a couple of kilometers from the beach and is close to the village of Wassenaar, 45km from Amsterdam and about 60km from Rotterdam. If you prefer a more quiet and serene environment to park your campervan rental in Netherlands, then perhaps the Vinkenhof campsite near the Belgium border will suit you; this charming rural campsite offers good opportunities for walking, hiking and cycling in a peaceful part of the country, yet is within easy reach of several towns and villages, including Valkenburg where you can explore the Roman catacombs. Book your Netherlands campervan rental online now and start planning your adventure to the land of tulips, clogs and cheese!